Kirbie is using Smore newsletters to spread the word online. 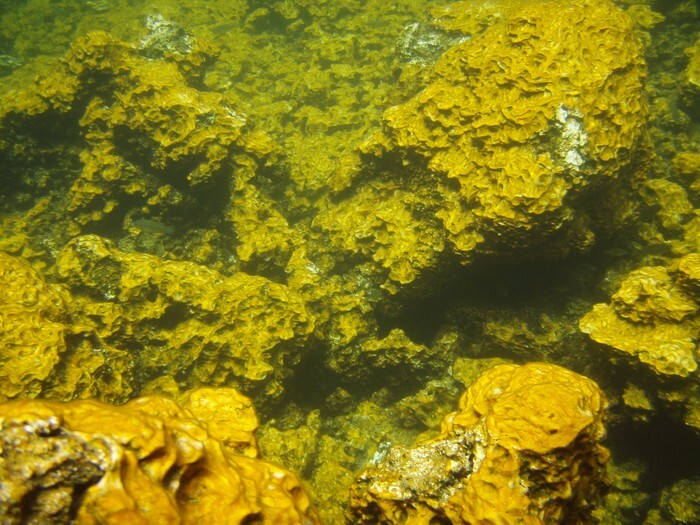 What is a coral reef biome? 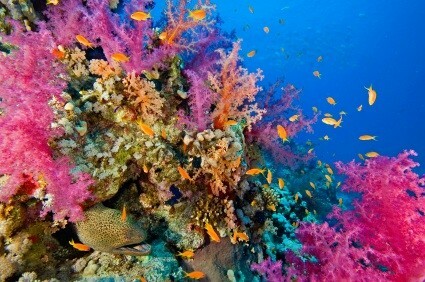 A coral reef biome is found in a shallow area of clear water within the ocean. The temperature in this biome is usually from 70 degrees to 85. Coral reef biomes are very common. You can find them in the Eastern coast of Africa, the Southern coast of India, the coasts of Australia, the Red Sea, off the coast of Florida, along the Caribbean, and along the coast of Brazil. 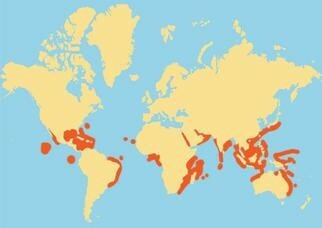 The largest coral reef is the Great Barrier Reef. It is located Northeast of Australia. It extends over 1,200 miles and is a great attraction to tourists. You can actually see this coal reef biome from space. 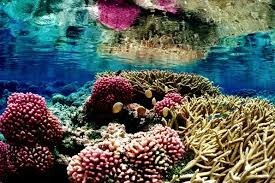 The average precipitation per year at the coral reef is 2010 mm a year which is about 168 mm a month. 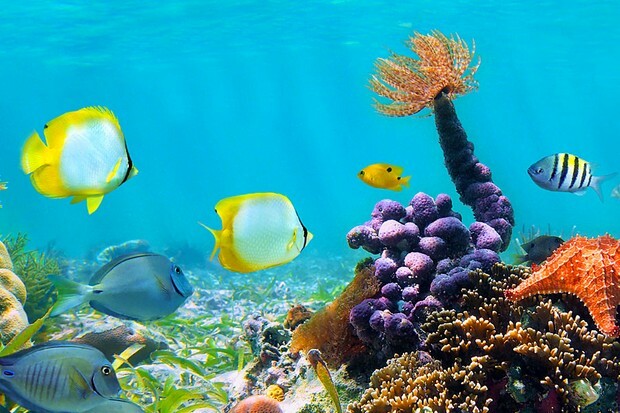 The Great Barrier Reef is a wet tropical climate with the temperature in summer being 24 - 33 degrees Celsius winter being 14 - 26 degrees Celsius. There are 1,500 different species of marine fish, 360 species of hard corals, about 6,000 species of mollusca's, 600 species echinoderms , 17 species of sea snakes, 1,500 species of sponges, 30 species of whales and dolphins, 6 species of marine turtles, 22 species of sea birds, and 32 species of shore birds. 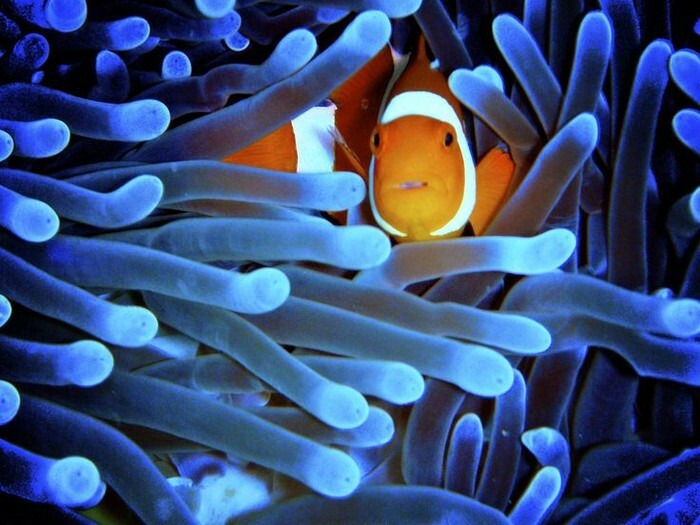 The clown fish has many adaptation in order to survive better. This species has more rounded caudal fins than other anemone fish making it naturally slow, less effective swimmer. These fins make it easier to dart around faster though. The moray eel's adaptation is to camouflage them selves. They have large catalogues of skins from patterned to plain to brownish colors to blue and yellow. This allows them to mimetic with the environment the live in. This disguising technique is not to avoid predators but for hunting easily. The crown of thorns starfish's adaptation is a structual adaptation. 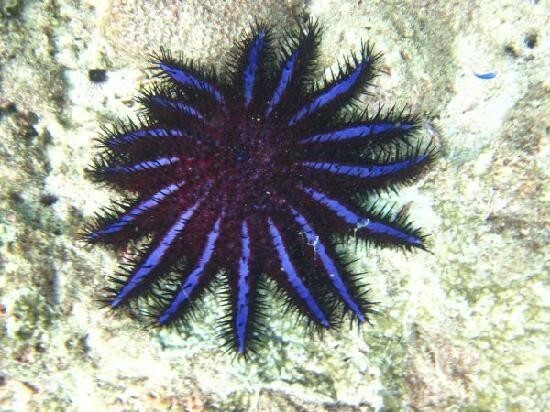 It has poisonous spines that grow on the upper side of the starfish. The spine protects the starfish from being eaten. 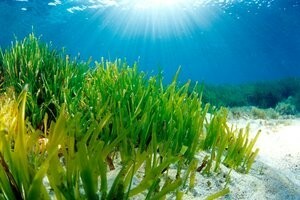 Seagrasses have two adaptations. They have adapted to salt water, and they have horizontal roots called rhizomes which help them stay put when ways brush up against them. 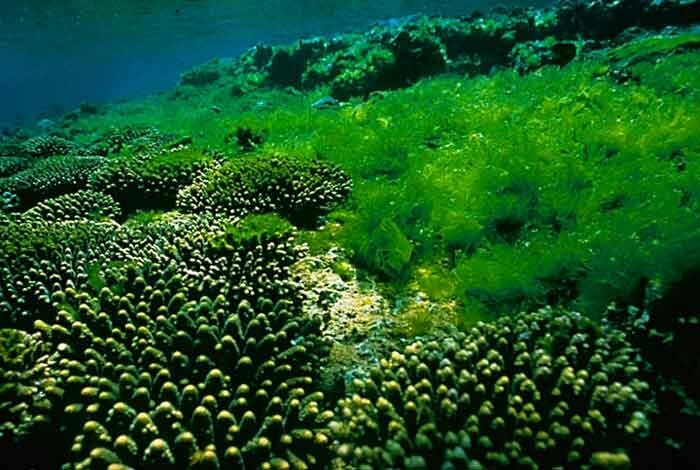 Algae is one of the simplest plant organisms on the planet. It has the ability to adapt to its surroundings. 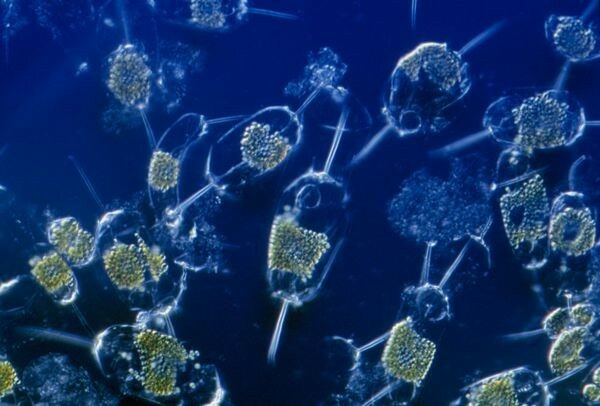 It evolved from bacteria of plants and sea creatures. Plankton has adapted to many things. Their's is a structural adaptation to be able to float in water. The have adapted to flat bodies, lateral spines, oil droplets, floats filled with gasses, ion replacements, and heaths made of gel like substances. 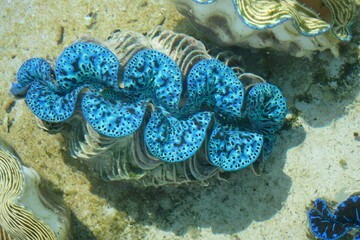 ~ The reef is a popular tourist destination with around 2 million visitors every year. ~ The Great Barrier Reef is the world's largest living structure. ~ 10% of the world's fish population live at the Great Barrier Reef. 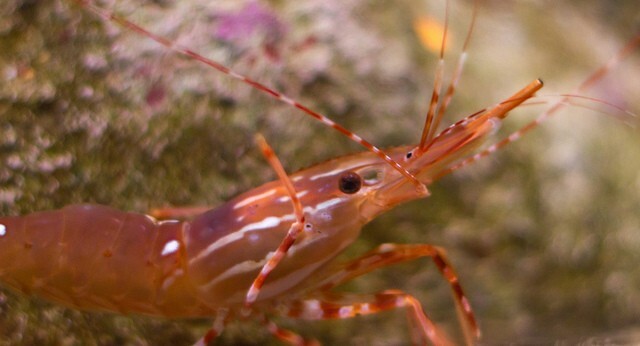 There are 13 coastal ecosystems that are important to the function of the coral reefs: coral reefs, lagoon floor, islands, open water, seagrasses, coastline, estuaries, freshwater wetlands, forested floodplain, heath and shrublands, grass and sedgelands.